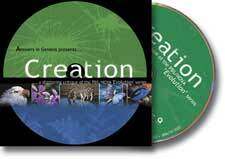 The PBS-TV Evolution series has launched perhaps the greatest barrage of evolutionary indoctrination since Carl Sagan’s (in)famous CosmosTV broadcasts of the 1980s. Our responses to the 7 episodes by Dr Jonathan Sarfati (author of Refuting Evolution and Refuting Evolution 2) are given below. Episode 4: The Evolutionary Arms Race! Episode 6: The Mind’s Big Bang! Episode 7: What about God?